It is eerily quiet on Market Street in Hermann, Missouri, on this late September morning. I’m trying to imagine what this storybook town of 2,400 looked like a month ago when thousands of people converged here to see the total solar eclipse. “It was crazy,” recalls the woman behind the counter at Type Style Signs, Antiques & Gifts on Schiller St. “People were everywhere. 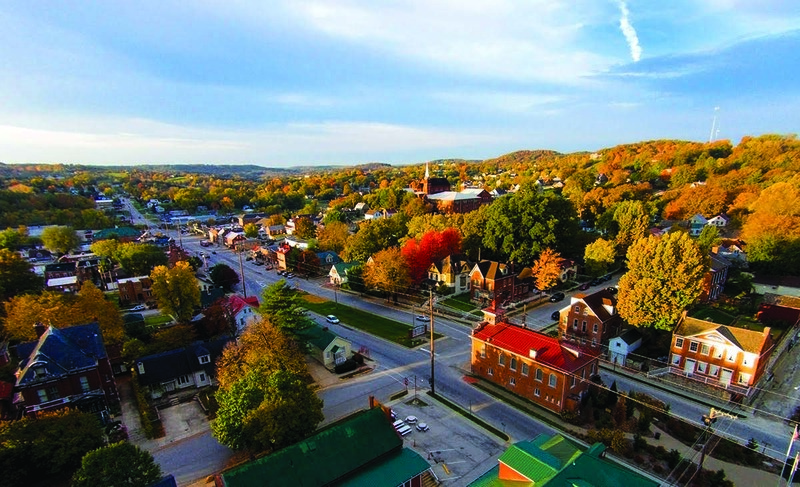 Those last two things are what draw thousands of visitors to Hermann during the autumn months for grape harvest and Oktoberfest, and to see sugar maples, sumacs and American bittersweet vines transform the countryside into a kaleidoscope of red, orange and gold. In the early 1800s, German immigrants in Philadelphia “were dismayed at how quickly their countrymen were being assimilated into American society,” according to historians. To preserve language and culture, the immigrants aspired to establish a city that would be “German in every particular,” so they sent an emissary to Missouri to purchase 11,000 acres of land. Unfortunately, this land was “the steepest, most rugged terrain …on the Missouri River.” Thus the first 17 settlers who arrived in 1837 were astounded to find a “howling wilderness,” but they made the best of its spectacular beauty and the wild grapevines that proliferated on the rocky slopes. Within a decade, visitors from St. Louis were traveling to Hermann, named after a German national hero, to enjoy the products of successful harvests of domestic grapes and brilliant autumn landscapes. Missouri has a long history of cultivating vineyards and manufacturing wine. By the turn of the 20th century, there were 100 wineries in Missouri, but Prohibition (1920 to 1933) and its aftermath dealt a death blow to the industry. Solid rebirth began in the 1980s with the help of tax money and academic and scientific aid. Missouri’s Augusta wine region became the first (of 238) recognized American Viticultural Area (AVA) in 1980. Today there are 10 Missouri Wine Trails that encompass 125-plus wineries, and nearly a million tourists visit annually to sample some of the 1.25 million gallons of wine produced here. 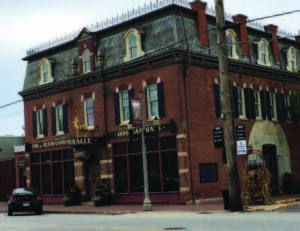 Hermann’s 20 blocks, historic courthouse on the hill and surrounding wineries ooze charm and provide a movie-set backdrop for its Oktoberfest, winter holidays and Civil War re-enactments. It’s a place where the high school homecoming queen and court appear on the weekly newspaper’s front page; where you’ll encounter the mayor at the pizza parlor on 4th Street; and where longtime residents are fierce promoters of the town’s history and architecture. A goodly portion of Hermann’s residents are still of German heritage, some descendants of original settlers. Today they own the town’s bed-and-breakfasts, bakeries, ice cream parlors, restaurants, galleries, gift shops and antique malls. Hermann also attracts cyclists and hikers who are making their way across the 240-mile Katy Trail, the longest rail-trail conversion in the country. The town sits at the end of a 2-mile spur off of the trail, which stretches from north of St. Louis to Clinton, not far from the Kansas border. Like to plan ahead? The path of the April 8, 2024, solar eclipse again falls very near Hermann. Visit http://visithermann.com, http://www.bikekatytrail.com, https://missouriwine.org, and www.moriver.org. For more commentary and photos, visit www.facebook.com/elouiseondash.